When many people see great political leaders or business leaders, the shocking realization is that they mostly see only men. Why is that? The answer is actually cultural which has been embedded since ancient times, but not in all cultures. 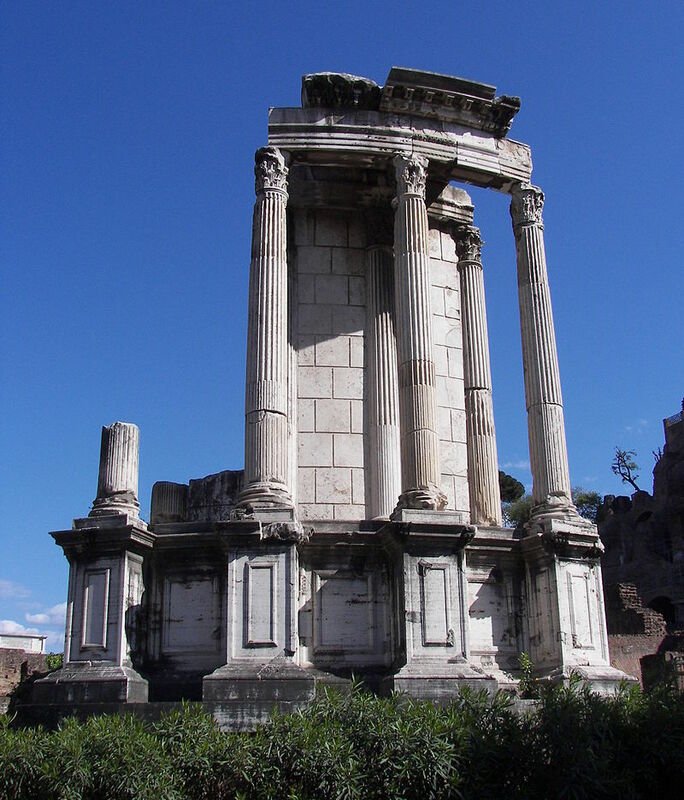 In ancient Rome, women had the office of the Vestal Virgin (Latin: Vestales) who were the priestesses of the Roman goddess of the hearth, Vesta. Normally, there were four to six priestesses employed forming a clergy (collegia) at the shrine of Vesta in the Roman Forum which is pictured on this coin of the Emperor Titus (79-81AD). A small portion of the temple still stands today. This importance of this illustrates the role of women. The Vestals performed rites associated with the goddess such as caring for the sacred objects in the shrine and inner sanctuary, preparing ritual food and officiating at public events during the yearly Vestalia (June 7-15). They also ritually prepared the bread (pane) which was offered on feast days and on New Year’s day. The Roman writer, Plutarch (45-120 CE), wrote that their duties required them to remain chaste and male clergy were not allowed to participate in the rites concerning Vesta. This was regarded as fundamental to the security of Rome. They were charged with the duty to keep the sacred fire burning for if it went out Rome would fall as a popular legend. The Vestals took a vow of chastity in order to devote themselves to the study of state rituals that were prohibited to the male colleges of priests. Freeborn women in ancient Rome were citizens, but could not vote or hold political office. Nevertheless, they were seen as the cornerstone of their society that held everything together. 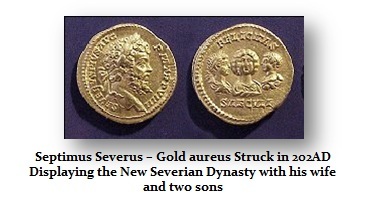 Roman Emperors traditionally issued coins depicting their family as well as individual coins with their wives. The Roman family was seen as the cornerstone of society. 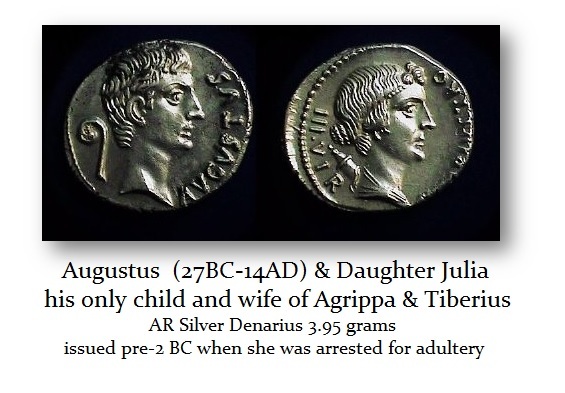 The Emperor Augustus even issued a ban on men remaining as bachelors with his family laws. In fact, the Aes uxorem was a tax on unmarried men and women who could bear children. 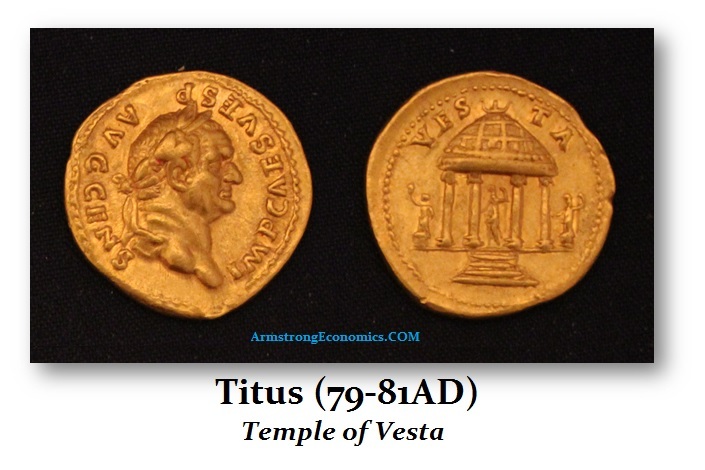 In 187 BC, the Roman treasury refunded the taxes imposed during the Punic wars. Women were declared tax-exempt in Rome at that time. However, in just two years, by 169 BC, people had been avoiding taxes by putting property in their wife’s name. This led to legal reform when a man was not allowed to pass his property to a woman beyond 50% of his worth. To this day, a wife does not have to pay taxes to inherit the property upon her husband’s death. This is all part of that same Roman tradition. In Greek mythology, most people see Zeus as the supreme god. However, that is not exactly correct. Upon your death, Zeus had no power to judge you. All he could do is send a recommendation to the three women who ruled supremely known as the Three Fates or the Moirai. They were the white-robed incarnations of destiny. Their number became fixed at three and this tradition prevails to this day in our legal system. When there is an appeal of a district judge in Federal Court, it goes to the appellate court which is decided by three judges. 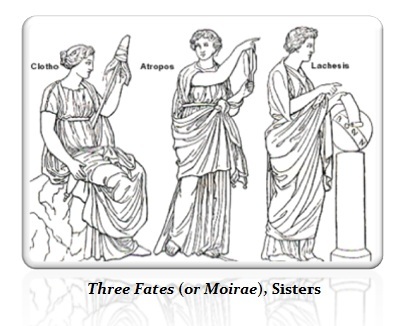 The Three Fates were Clotho (spinner),Lachesis (allotter) and Atropos (unturnable). They controlled the metaphorical thread of life of every mortal from birth to death. We still use this term it was “fate” referring back to the decision of these three women. However, there is no historical record of any society being truly a matriarchy whereby females hold the primary power of political leadership, and moral authority to the exclusion of men. However, there are plenty of examples of women being the leader of nations, such as Cleopatra VII of Caesar & Antony fame, and Zenobia, Queen of Palmyra who ruled after the death of her husband in her son’s name. Chinese history also includes many Empresses who ruled. Following the Dark Ages, the reestablishment of the Roman culture is also illustrated in the coins of England. Cynethryth was the wife of the powerful Offa, King of Mercia. Offa placed his wife on the coinage as did the Romans, reestablishing that tradition. There is confirmation that women were pharaohs in Egypt. 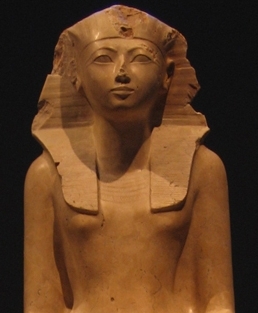 Hatshepsut (1507–1458 BC) was the fifth pharaoh of the Eighteenth Dynasty of Egypt and the second confirmed female pharaoh. Boudicca was a queen of the British Celtic Iceni tribe who led an uprising against the Roman Empire in 60-61AD, but died shortly after its failure. Some say she killed 80,000 Romans and burnt London to the ground before being defeated. There are many examples of the throne passing to women upon the death of their husband such as Teuta who was the queen regent of the Ardiaei tribe in Illyria from 231 to 227 BC. Clearly, women have been leaders in politics as well as battles. In Greece, the Athenians imposed a monthly poll tax on aliens or foreigners who they considered was anyone who did not have both an Athenian Mother and Father. The poll tax was one drachma for men and a half drachma for women. The tax was referred to as metoikos. 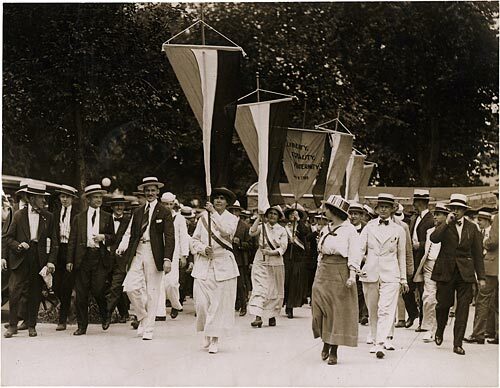 Women in Athens did not have a right to vote as was the case in the United States until the 19th Amendment to the U.S. Constitution passed by Congress June 4th, 1919, and ratified on August 18, 1920. The sole reason why women did not possess the right to vote was rather simple and is often confused with today’s systems. In ancient Athens, only the head of the household voted acting like a congressman, representing everyone in his household including his sons. Socialism has necessitated equal rights because politics have also targeted the individual for regulation and taxes. If there was nothing government could do to a woman, then we would return to the ancient days of Athens. Once you imposed income taxes (direct taxation), which the Founding Fathers prohibited, then everything changed. Today, women have lost the right to stay home and raise the children in the average home because it takes two incomes to pay the taxes that in 1950 were paid by just one salary. The issues of equality in the work force have been more important ONLY because of socialism. Likewise, once government has embarked upon the assumption of creating social laws, then indeed the right to vote for women has also become paramount. The greater the encroachment of government, the more rights vanish. Many of the young girls were rather upset over the idea of Hillary that total equality of women also involves being drafted and sent off to war. Hillary was a feminist from the 1960s bra-burning era. Her idea of women being totally equal is seen as extreme and does not generally resonate with the majority of younger generation who like being feminine and all the perks from fashion to a man holding the door. Then there are joke T-Shirts, Warning – Don’t Get Married You Will Never Again Get a Window Seat when you fly. Hillary’s feminist ideas have always been confrontational. Why get married to someone who sees this as sleeping with the enemy? Globally, about 55% of women are in the workforce. The real question to emerge is shocking. Are there enough jobs for women? With the introduction of robots, more and more jobs filled by men are vanishing because of the high costs of socialism and healthcare. So what does the future really hold for employment at the end of the day? It appears that the future jobs will be more dependent upon skills in technology. Women are certainly capable of that. I have known many good female programmers and even traders over the years.